Just short of a week before Basscenter XI, Bassnectar released the remainder of the third part in his Reflective series. Reflective Pt. 3 is an avant-garde collection of diverse tracks, showcasing everything we love about Bassnectar. I’ll skip over “Heavyweight Sound” and “High,” as we’ve already discussed those tracks here and here. “Whiplash” is reminiscent of his 2015 (originally 2005) hit “Blow.” They both feature a beatboxer while Lorin supplements bass and other sounds only a computer could create. It’s an aggressive, neo-tribal anthem. “Easy Does It” with Conrank is already the standout banger on this project. I can only imagine how hard it’ll slap live. This is one of those tracks that’ll possess a crowd. It’s a gritty, bass-face inducing beast. “The Mothership” sits on the prettier, gentler side of the album. It’s a future bass track that some might say is underwhelming. Vindata‘s vocals accompanied by Bassnectar‘s production results in something that can only be described as magical. This is the track that you’ll hear live and cry tears of joy. “Enchanted” is a different spin on Naux Faux‘s, another of Lorin’s artistic identities, track that was released earlier this year. Have you secured tickets to the Mothership yet? 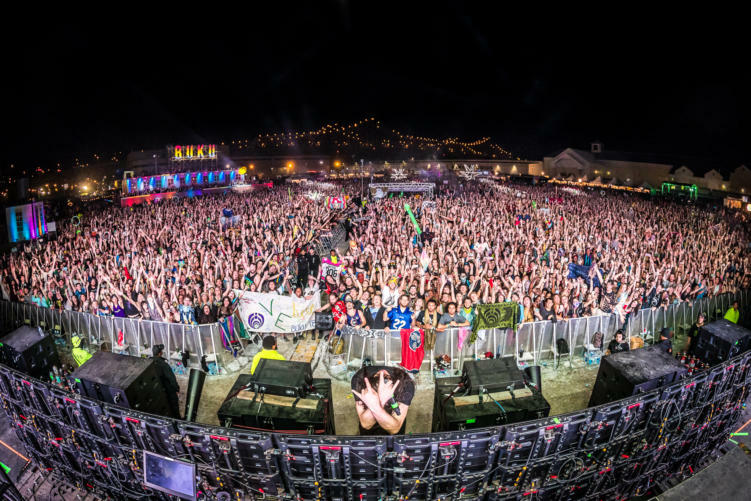 Photo from Bassnectar.net, taken at BUKU 2018 by aLIVE Coverage.